What a Great Home in a Great Neighborhood! Easy access to Frenship schools. 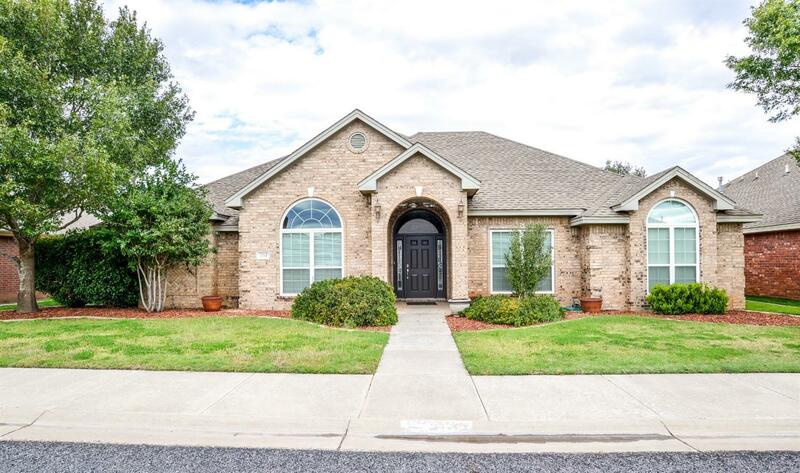 You get the quiet, quaint living just minutes away from Lubbock. This charm rests in an established neighborhood, Frenship Mesa. You can conveniently reach shopping, dining and fun activities such as 4ore! Golf. There is versatility in this 4 bedroom 2 bath that can easily be a 3 bedroom with an office. A formal dining and breakfast area proves lots of open living space. Kitchen has Brand New Appliances and Freshly Painted Cabinets. Living room with a cozy fireplace is great for entertaining! All bedrooms have special ceilings. Spare bathroom has double vanity sinks with tub/shower combo. Remodeled master bath houses a walk in shower, double vanity sinks, separate space for make-up vanity and a spacious walk in closet. The laundry room is a safe room. Beautiful landscaping in the front. Back yard house has a 10 X 20 metal building for storage or man cave. Don't miss this one!